LESSONS FROM OUR ENERGY BOOST WORKSHOP! 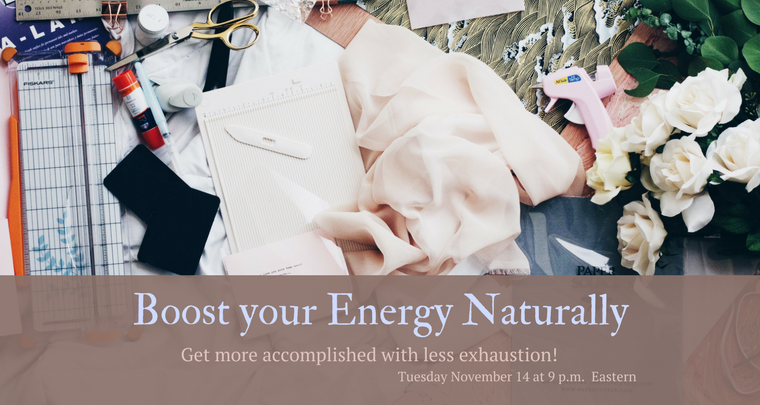 So far this month we've talked about Energy Drain, prioritized our to do lists to make the most of each day, and NOW it's time to CREATE MORE ENERGY IN YOUR LIFE! So........... this workshop is not what you are expecting....... It's not going to be my Top 5 tips for boosting energy throughout the day. I could totally do that... you could also just google it! 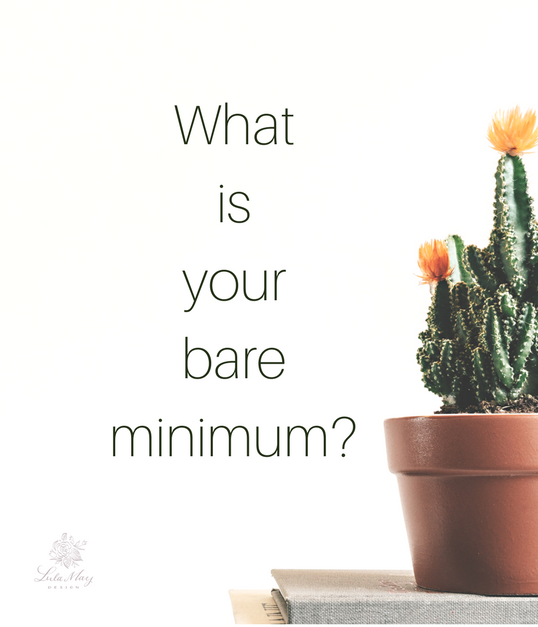 So instead we are going to talk about WHY you have lower energy these days, and why those tips and tricks don't always work for you. And I'm going to tell you how to figure out what will work for your unique situation! First let's take another look at our 3 divisions from our Priority List exercise. I switched up the terms a bit to fit our energy analogy, but can you see how the concept is the same? GOOD NEWS! I'm TOTALLY on point! After looking through all the vibrational energy, personal growth, enlightenment, and chakra graphics I could find, I discovered that they all have something in common. Growth and energy are on a continuum. Be it a pyramid, ladder, upward spiral, map of the human body.... the minimal/ basic needs and emotions are at the bottom, with stability in the middle, and enlightenment and other high energies at the top. Imagine yourself on the rung of a very tall ladder. To get to the top, first you want to know where you are on the ladder and where that next rung is. Right?! So how do you work on improving energy, taking into account your totally unique life situation? OK, y'all. This is why I LOVE coaching and why it makes such a difference in people's lives! 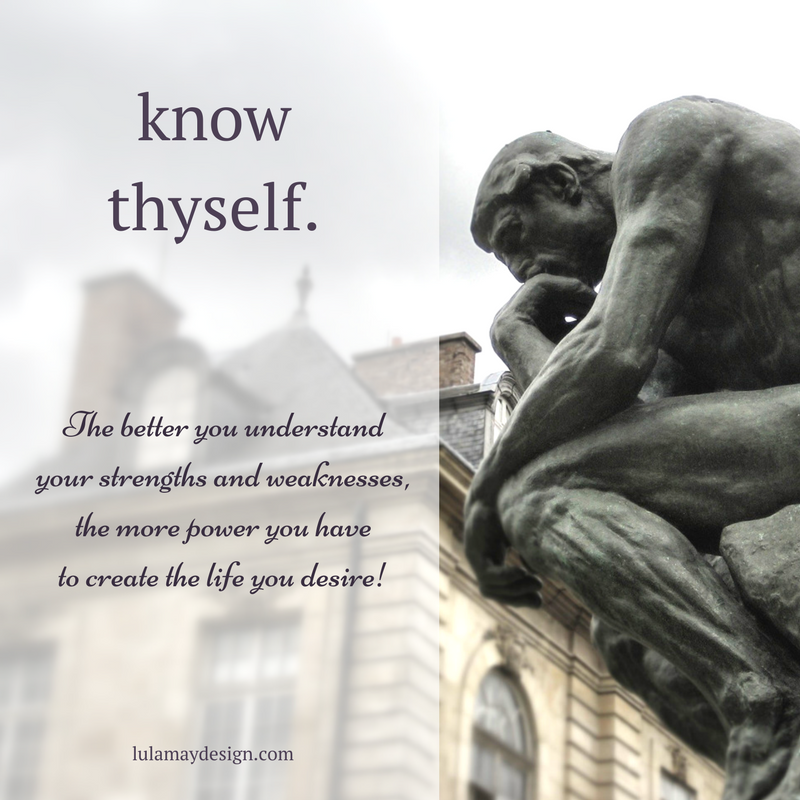 I tell you all the time how important it is to KNOW THYSELF. Self-knowledge is the key to finding your passion, being grounded on your principles, knowing your definition of success, and recognizing your strengths and weaknesses that will effect your journey. BUT IT'S HARD TO TRULY KNOW YOURSELF. In our Coaching sessions you get access to an outside brain. I can help you see logically, without being clouded by the emotion of your situation. I can also help you uncover any skewed reasoning based on thinking that everyone is like you. We so easily assume that our innate personality is shared by a large segment of the population. Not true. You have a unique set of experiences, personality traits, beliefs and principles, fears and desires... and all these play into how you view the world and the decisions you make on a daily basis. Through our coaching sessions you learn to see your true uniqueness and how it contributes to your problems and can help create solutions! You can head into any situation with more wisdom and understanding. You won't have to settle for cookie cutter answers or rely on generic advice to try to make the best decisions for YOUR life. Once you feel confident in your self-knowledge, you can start to look at your life from a new perspective. You can see your struggles and your goals along this continuum of Protection / Stability / Evolution. For instance, you want to stop being afraid to fail, you want to have more money, and you want to feel inspired again in your creative business. 1. These are your unique set of problems. We will find unique solutions. 2. They are all important, but one is lower on the pyramid than the others. 3. Starting with the lowest issue will help you move higher up, without being continually dragged back down. So which is lowest? Which is most "protective"? FEAR. So we need to start working on your Fear of Failure. Can you see how resolving that emotional energy drain will help you make more money and find more inspiration? Starting with Inspiration will just leave you frustrated because you will be constantly afraid that your ideas aren't good enough and that they won't create the money you need. It's time to put all of this information into practice. Let's take a look at some natural ways that you can increase energy based on your specific situation. Let's look at the Energy Crystals I chose for this month's focus necklace. You'll see which of these crystals best fits your particular needs. See how each of these touches on different aspects of energy and different issues that cause you to feel emotion/mental/physical exhaustion? I put these crystals together in our Energy Boost Necklace to help cover a large range of issues. But you could also choose the one that really fits your situation and wear just that stone until you've worked your way past that hurdle. 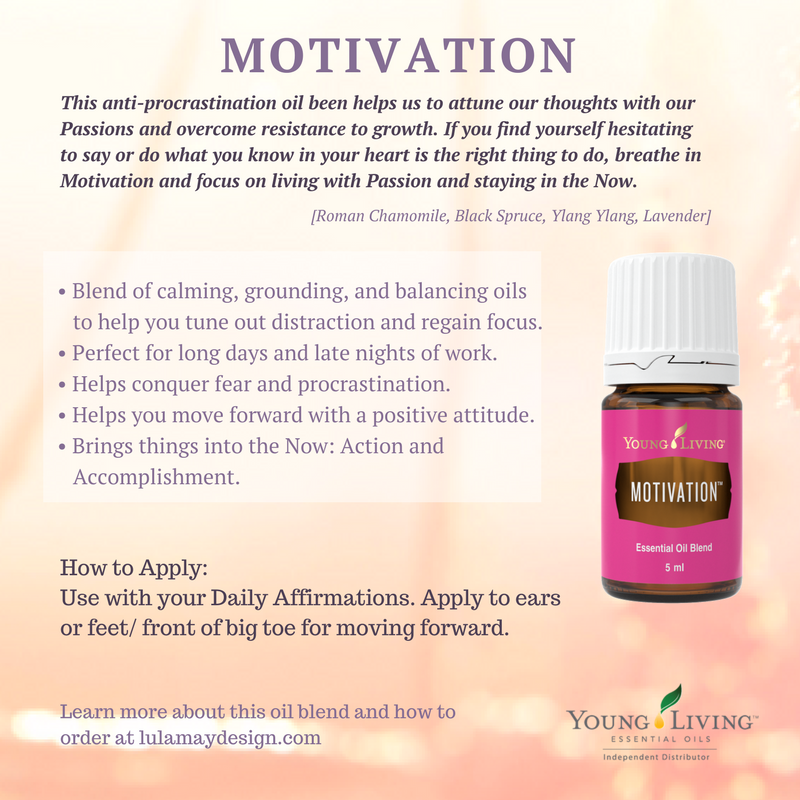 Now let's take a look at why I chose Motivation and Common Sense oil blends to help us boost our energy this month. Which of these emotional issues speaks to you most? 1. 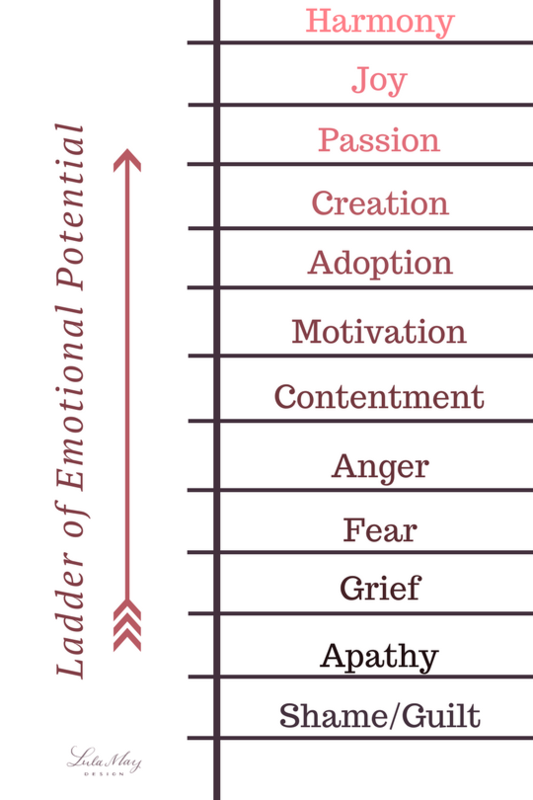 Where are you on the Ladder of Emotional Potential? 2. Which Crystals and Oils speak most to your current Energy Situation? 3. What is the first step you can take to boost your energy naturally? It's time for my one general piece of advice! I know you've secretly been waiting for me to tell you about the magic pill that will solve all of your problems. Sorry to disappoint.... That's just not how this works. But I do have one piece of advice that will work for every single one of us! Notice in the Ladder of Emotional Potential that halfway up you get CONTENTMENT. In the Pyramid of Personal Potential the middle third is STABILITY. This is not an accident. THIS IS SUPER KEY INFORMATION! The pivot point between unhappiness and happiness is CONTENTMENT. BALANCE. STABILITY. GRATITUDE. All wonderful words for the idea of realizing everything is ok and it has the potential to get even better. Want to know how to be content and therefore add energy? Oh my goodness its so so simple! All I want you to do is spend the next week doing some Self-Care every single day. Why self-care? Because taking a moment to relax and rejuvenate and be "in the moment" is exactly what you need to experience tangible, immediate contentment. To make this even simpler, we are going to do this as a group! All week long in the Creativity Club I will post one simple and inexpensive form of self-care each day. All you have to do is accept the challenge and reap the rewards! Boy this was a long one! Thanks for hanging in there with me. Let me know in the comments below if you have any questions, and be sure to sign up for future workshops so you can join in LIVE and here all this awesome info first hand. 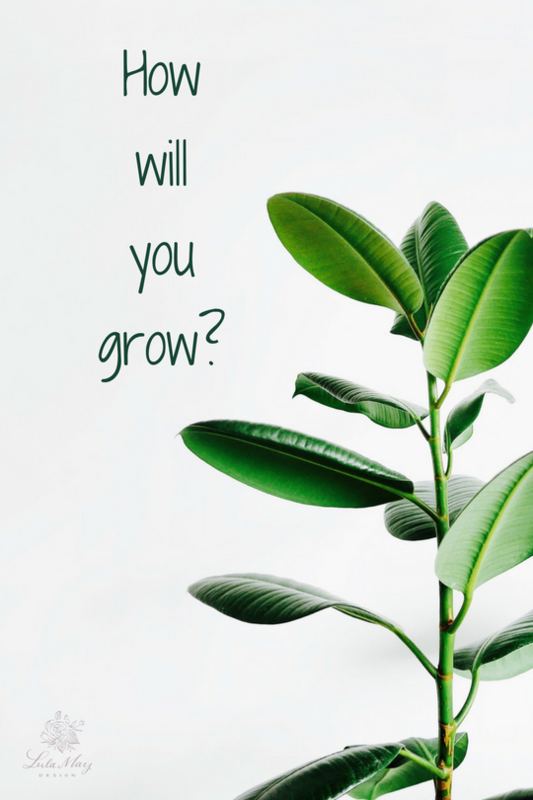 And if you are realizing your self-knowledge is not what it needs to be, sign up for an Initial Coaching Session to discover what an amazing difference it makes to have two heads working through your unique situation! Let's have an incredible, productive, and contented week!